BOOKING-DALMATIA.com - Exchange banners and advertising space - Welcome to Dalmatia! Banner exchange is free and easy way to drive visitors to your site. 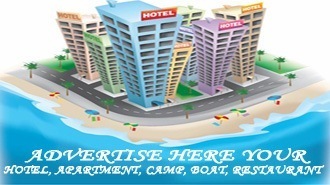 If you want to publish your site to link www.booking-dalmatia.com, we have prepared several types of banners. Just copy the code into your page. Anywhere! A prerequisite for the exchange banners please contact us.